Whilst looking around for a new handset, I stumbled across a sale that Vodafone are doing. 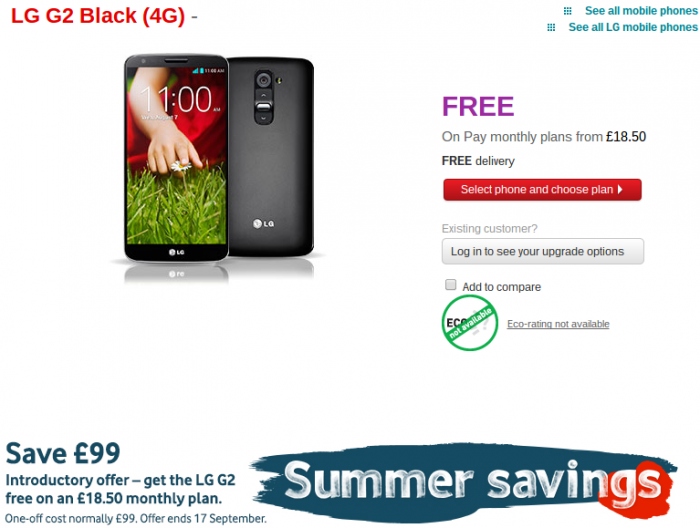 They’ve discounted the £99 up-front fee normally charged on their contract LG G2 and you can pick it up (until September 17th) for free on plans starting at a measly £18.50 per month. Now sure, for £18.50 per month you’re not going to get a great deal in allowances. 100MB of data, 100 minutes and unlimited texts? It’s not going to exactly let you “use” the G2 a great deal is it? So, step it up to £26.50 per month for unlimited texts, 500MB data and 600 minutes or notch it up to £30.50 a month for unlimited calls, texts and 1GB of data. Also, while I’m here, Voda apparently have a deal on in-store this weekend which could see you picking up the very same handset for a mere £175 when you grab a £10 top-up. Obviously this is Pay As You Go, but you can unlock it if you want. 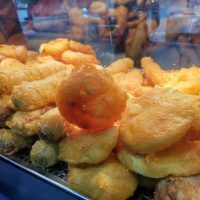 It’s this weekend only though, so you’ve gotta be quick to grab the PAYG deal. 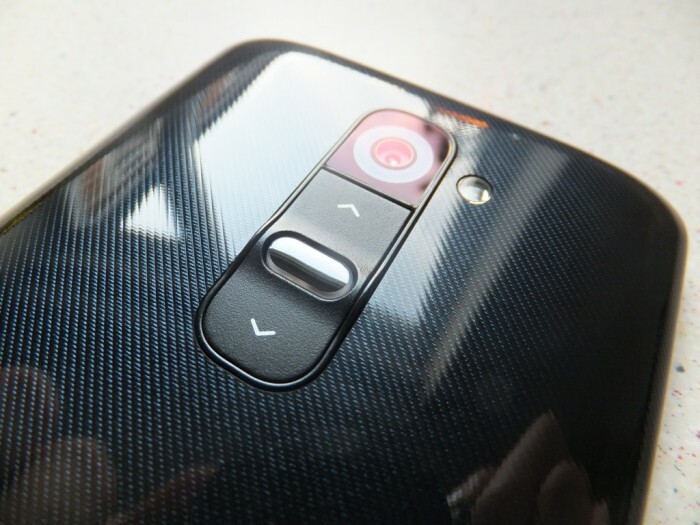 The LG G2 got a full Coolsmartphone review and, put simply, we loved the thing. However, if you want something else then Voda seem to have lots of summer deals on right now.